Who knows their town better than anyone else? The people who live there of course. So who better to tell visitors about the best places to stay, the nicest restaurants to eat at, the best sights to see? 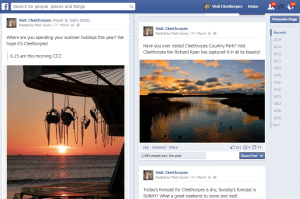 Status Social was asked to market the British seaside resort of Cleethorpes in the spring of 2011. Facebook, Twitter and a blog, all under the title of Tourism North East Lincolnshire’s ‘Visit Cleethorpes’ brand, were going to be the channels. The social media campaign’s aim was to attract tourists to Cleethorpes, particularly visitors from South Yorkshire, who have been coming to the east coast resort for more than a century. Initially Twitter grew fastest. Engaging with almost anyone who mentioned the word Cleethorpes attracted a large following. Using an irreverent tone, the account attracted even cynics with a tongue-in-cheek attitude to the town’s knockers. A row over which was best – Cleethorpes or Las Vegas, was won when the US city admitted it didn’t have a pier. Followers of @CleethorpesUK tweeted how the account helped them know what was going on in Cleethorpes, bringing visitors to Cleethorpes from across the country through the tweets. The blogs were written by Status Social’s former award-winning BBC journalist Mark Saxby and focused on anecdotes connected to an element of life in Cleethorpes. Over the 18-month programme of blogs, they generated nearly 20,000 hits on the Visit Cleethorpes website, helping it to page one on Google. But it was on Facebook where social influence really came into its own. When fans asked for recommendations, we wanted to remain impartial. So we invited our fans to do it on our behalf and they did so in droves. When someone asked a question on the Facebook page, empowered fans would answer within minutes, giving great social media customer service. They also used the page to encourage their friends to come to Cleethorpes. The fans went a step further: they turned the Visit Cleethorpes Facebook page into their own brochure site. When one fan shared their photo of the resort, we encouraged others to do the same. Over the three years, more than 100 top quality photos of Cleethorpes were shared by both amateur and professional snappers. And did it lead to business for Cleethorpes? Indeed it did. People returned to Cleethorpes after decades of absence after seeing the social media, they attended events they hadn’t known were going on on their doorsteps, they went out and bought fish and chips when we posted about fish and chips. Councillor Mike Burnett is the deputy leader of North East Lincolnshire Council and chairman of Tourism North East Lincolnshire: “On behalf of Tourism North East Lincolnshire, I would like to thank you and your team for your considerable efforts promoting Cleethorpes over the last three years. In March 2014 after three years, Status Social’s involvement with Visit Cleethorpes came to an end. But not before Status Social proved how effective social media could help rejuvenate Britain’s seaside towns – encouraging help from those who live there. 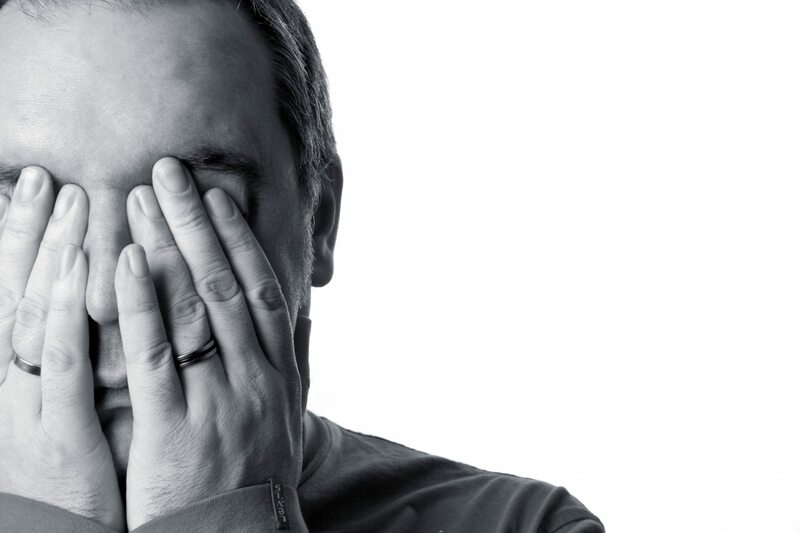 Want to know how effective social media management could help you then call Status Social on 01332 776910 or email us.